With sound, image, and word, Chris Cerf teaches the basics. 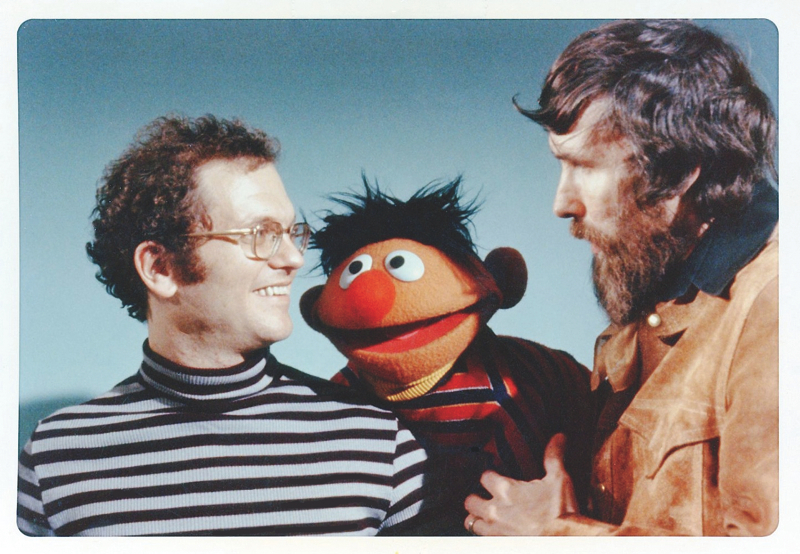 A younger Cerf with Muppeteer Jim Henson (right) and Muppet Ernie. Cerf and colleague Norman Stiles flank dog star Lomax as Cerf holds Delta the cat. See clips from "Between the Lions" and listen to clips from "Lomax: the Hound of Music"
Christopher Cerf ’63 had laughter in his blood even before he was born: New Yorker founder Harold Ross introduced his parents and comically brandished a shotgun at their wedding. Those parents would be Phyllis Fraser, a onetime Hollywood actress and later book editor, and Bennett Cerf, co-founder of Random House publishers, author, columnist, and TV panelist on What’s My Line? Like his father, the jovial Cerf is a creator in several media. “I’ve found that the most interesting way to go, too,” he says. “To build on what you learn in one place and use it somewhere else.” His professional career also began in his father’s footsteps. For eight years after college, Cerf was an editor at Random House (“Don’t know how I got the job…,” he marvels), working with authors ranging from Abbie Hoffman to Theodor Seuss Geisel (“Dr. Seuss”). He was also involved with the publisher’s Beginner Books imprint (started by Seuss and his wife, Helen, along with Phyllis Cerf), which published easier-to-read Seuss titles. Then he branched out, applying his facility at writing parodies (honed as an undergraduate on the staff of the Harvard Lampoon, where he and Michael Frith ’63 co-wrote the James Bond parody book Alligator) at the National Lampoon, which Cerf joined in 1970 as a contributing editor from its first issue (see “Funniest Pages,” November-December 2010, page 27). 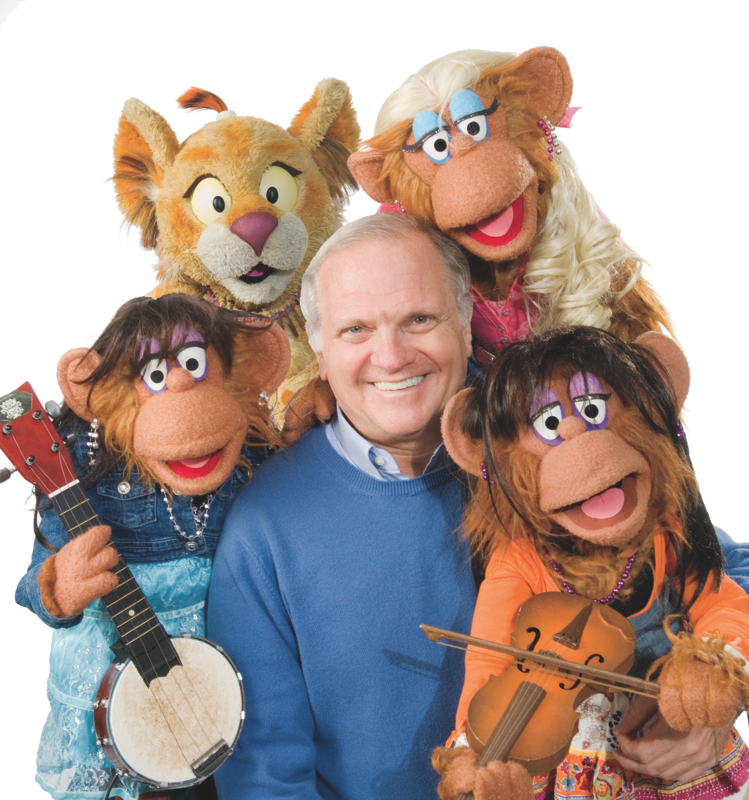 That same year, he signed on with a fledgling children’s television program, Sesame Street—his Beginner Books experience came in handy—and to date has composed more than 200 songs for it. 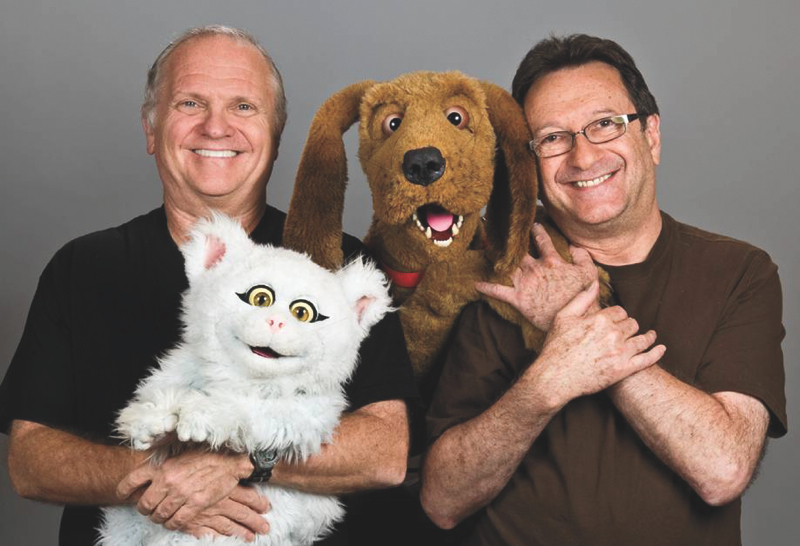 “If you write four or five songs a year and the show lasts 40 years, you have a huge body of work!” he explains. That body of work has earned him three Grammys and eight Emmys, for both songwriting and producing. Lomax doesn’t do “kiddie music.” “We got the best bluegrass and folk musicians we could possibly find,” Cerf explains—people like two-time Grammy-winning guitarist Larry Campbell. The program has aired on about half the PBS stations in the country, but depended on a one-time grant from the Bingham Trust and, Cerf says, “in this environment, it’s kind of hard to find millions of dollars to keep making new episodes.” Should those millions turn up, we’ll not have heard the last of Lomax, but if not, it’s safe to say that Chris Cerf will find something else—or 10 other things—to do.